Kundalini Yoga is an ancient and powerful school of Yoga utilising the science and technology, and reaping all the benefits, of Hatha, Raj, Mantra and Laya Yoga. Maintained as an oral tradition for thousands of years to protect the techniques from abuse, this secrecy also created an unnecessary image of mystery which remains today. Brought to the West in 1969 by Yogi Bhajan, there is no tradition of asceticism in Kundalini Yoga, no need to take oneself away from the distractions of the world – it is designed for the active householder with family, school and work responsibilities. There is also no tradition of being initiated – Yogi Bhajan said that people must initiate themselves through their own efforts by adhering to the discipline and practice of the technology. Kundalini is the creative energy within all of us, the energy of consciousness in each person and beyond. Kundalini Yoga focuses on the nervous and glandular systems, as well as our energetic systems. Within a class or practice, you will find asana (body postures), pranayama (breathing techniques), mudra (hand positions), bandha (body locks), drishti (eye focus) and mantra (sound currents). They are combined together in sequences called kriya (complete actions). In the context of Kundalini Yoga, kriya are complete actions that lead to complete manifestation. These kriya are precise and scientific, to be followed exactly in order to attain the goal of the kriya. Goals of kriya are as precise as increasing spinal flexibility, balancing the pituitary gland, energising your magnetic field, working with addictions, or clearing the heart chakra. There are hundreds of kriya – some are meditative, some are breath practices, some combine all of the techniques and last over 2 ½ hrs. The breath and movement are often very dynamic, and will mostly be unlike anything seen in a Hatha Yoga class. The asana used in the kriya have quite exacting angles, utilised in order to create pressure on specific glands and organs. This pressure stimulates secretion and circulation of hormones to ultimately balance our glandular system, as our chemical stability has quite a definite effect on our emotional stability. Various pranayama relate to different states of emotion, consciousness and health, and Kundalini Yoga uses pranayama within kriya to alter these states. Mudra are utilised according to their reflex to different areas of the body or brain, which represent different emotions or behaviours, to give clear energetic messages to our mind and body. Bandha within kriya function to change nerve pressure, cerebral spinal fluid flow, the flow of prana, and blood circulation. They concentrate the body’s energy in order to raise consciousness and heal the self. Mantra is the science of using sound currents to tune and control mental vibrations, and next to pranayama, is the most important aspect of Kundalini Yoga. In a personal practice, or sadhana, kriya are practiced daily for periods of 40, 90, 120 or 1,000 days, in order to affect specific changes on the psyche, energy and physicality of a person. If even one day is missed, the count starts again. 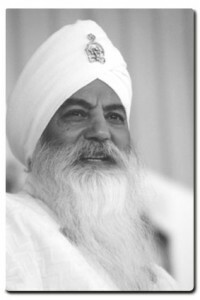 Kundalini Yoga is highly transformative and releases deeply held issues whether body or mind. Because of this, it cannot really be practiced as a purely physical exercise, although it is physically challenging in quite a different way, with more focus on mental and physical endurance and stamina than on strength. Kundalini Yoga can be practiced by anyone if done according to instructions given and if they go at a pace that suits their flexibility and endurance. For more information on Kundalini Yoga, check out this website. Hmmm… interesting article for sure.